St Francis Bay is the unexplored jewel of the Garden Route and is situated only 100 kms from Port Elizabeth en route to Cape Town. St Francis Bay can also be a wonderful stop over for guests going on to Addo Elephant Park or the perfect overnight prior to flying out of Port Elizabeth on your final leg of your journey around South Africa. 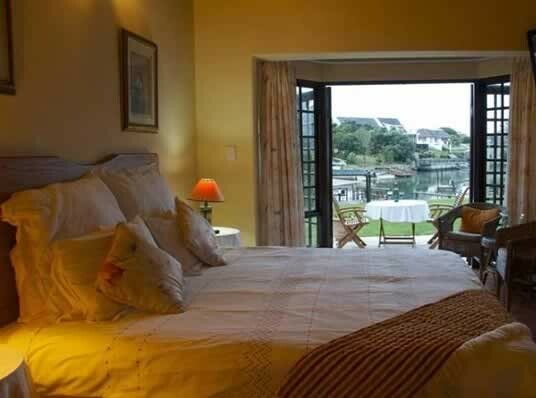 Nestled on the incredible and unique tidal St Francis Bay canal system, Brisan B&B on the Canals is the ideal accommodation venue to experience the wonders of the beautiful village of St Francis Bay, with its white walls and black thatch roofing. While the uniformity of the style in St Francis Bay lends itself to the graciousness of the area, every house is individual and commands attention. Brisan B&B on the Canals offers guests superb accommodation to suit everyone. All our beds are extra length and of top quality to ensure a peaceful nights rest. Only 100% cotton percale linen is used and all rooms have a tea/coffee tray, dressing table, hairdryer, guest amenities and television. Our luxury room upstairs is ideal for those who enjoy accommodation with extra space, or for families, as it is a large room with a king/twin bed, lounge area with fold out sleeper couch, luxury en-suite bathroom with bath and separate shower. This room leads onto a huge balcony with patio furniture and sun loungers, overlooking the St Francis Bay canals and Kouga mountains. In this accommodation you can enjoy the privacy and tranquillity of the area while relaxing on the deck with a long, cold drink, cup of tea or coffee, or your own ‘braai’. The tidal canals ensure 100% fresh seawater daily. The other superb accommodation consists of three canal facing rooms, each with its own entrance, patio furniture and Weber barbecue. 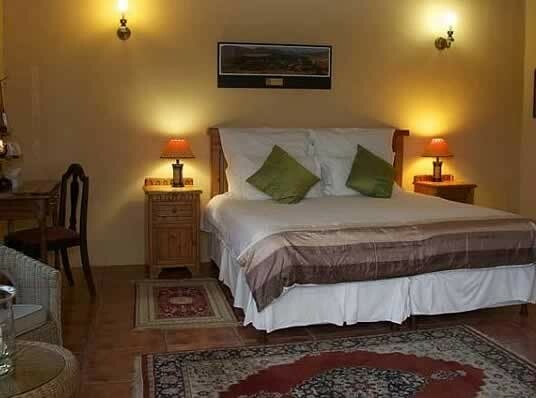 These rooms offer guests very comfortable accommodation with king/twin beds, luxury en-suite bathroom with bath and separate shower. Two of the rooms are adjacent to each other and create the ideal accommodation for those travelling together or for families with 2 or 3 children. The remaining accommodation is upstairs. A large, sunny room with a small private balcony overlooking the side gardens. This room has king/twin bed, bath and separate shower, this accommodation is also suitable for a family as there is space for a stretcher or airbed mattress. 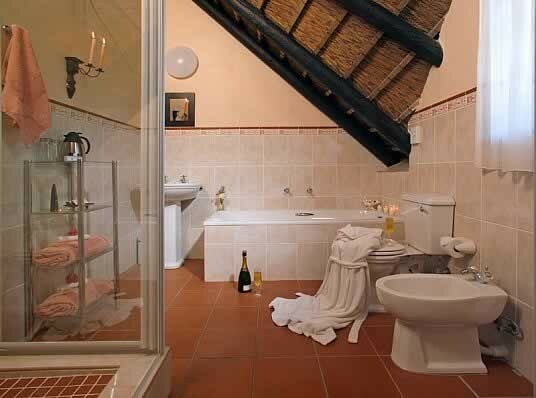 The adjacent room upstairs has a king/twin bed en-suite bathroom with a shower over the bath. This room looks over the field towards the village of St Francis Bay. The enclosed patio with roll down see-through awnings and stainless steel built-in barbecue where guests can enjoy their gourmet breakfasts in all weathers while basking in the beauty and tranquillity of the surroundings overlooking the St Francis Bay canals. 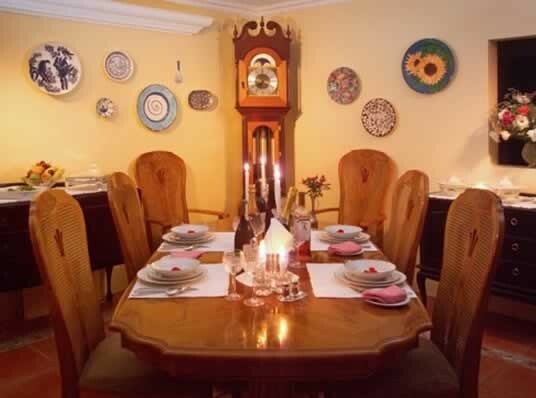 Brisan on the Canals is the perfect B&B for guests to experience St Francis Bay. Hosts, Brian and Sandy, are well acquainted with the area and can advise visitors regarding sights, activities and restaurants available in and around St Francis Bay. St Francis Bay Village offers excellent cuisine including fresh fish, local calamari, superb steaks, Greek food, curries and fine dining. The choices are excellent. St Francis Bay Canal and Kromme River Cruises are the highlight of most visitors to St Francis Bay and can be booked through Brisan B&B on the Canals. Both Brian and Sandy have ‘Skippers Tickets’ and have been cruising the St Francis Bay canals and Kromme river for many years. 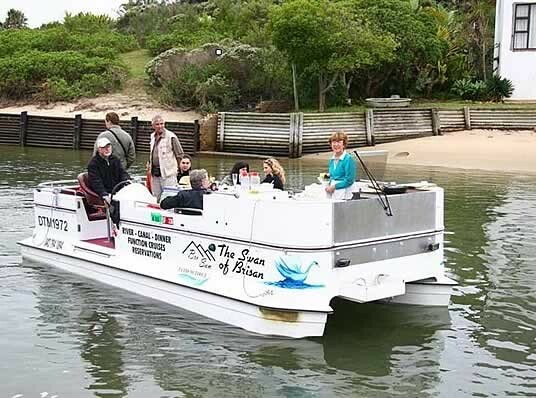 Our pontoon boat, The Swan of Brisan, is equipped with a gas griller in order to prepare delicious meals or light refreshments while cruising the St Francis Bay Canals. As one American journalist wrote and said “Your B&B is lovely, and the experience of having breakfast out on the water in the morning was definitely a highlight of our trip.” The sights and sounds which abound will prove to be just that.